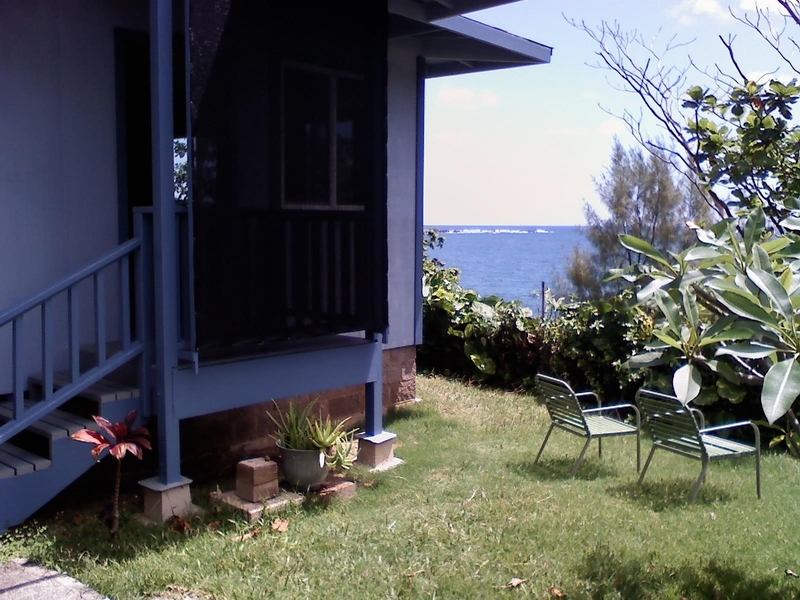 Bayhouse Hana is a family owned vacation haven on the shoreline of Hana Bay, just a short walk to the sandy beach and Hana Bay Beach Park. 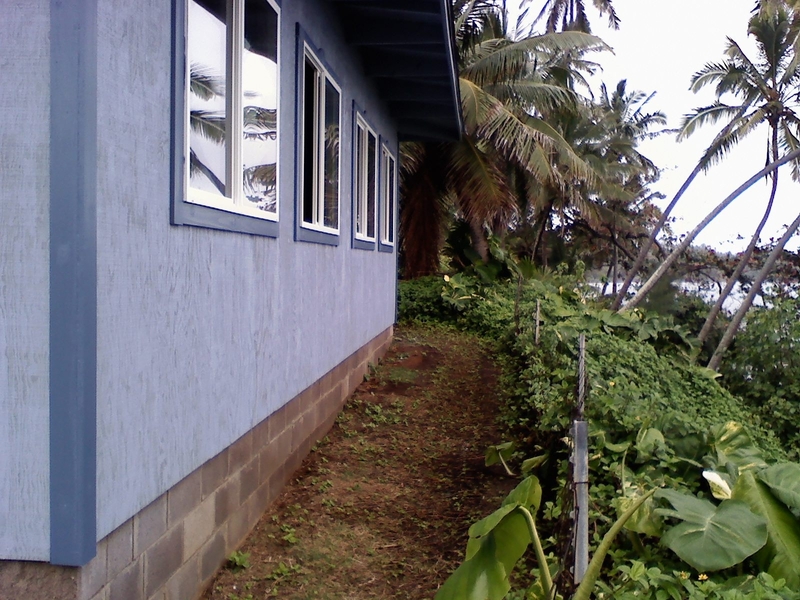 The Bayhouse Hana is situated centrally in Hana, so you’re within walking distance to the Hana Ranch Store and Restaurant, the Hasegawa General Store, the Hana Post Office, the local collection office of the Bank of Hawaii, the Hana Pit Stop (gas station), Travaasa Hotel Hana, the Congregational, Catholic and Latter Day Saints churches, the Hana Community Center which houses community service organizations and the outdoor community ballpark, basketball court and tennis courts. The Hana Health Center and the civic services center is a moderate walk in the opposite direction. The Hana Cultural Center and Museum is across the street and there are cultural sites in the area that are just short drives away. Prominent among these sites are Kahanu Garden, a branch of the National Tropical Botanical Garden, site of Pi’ilanihale Heiau (an ancient Hawaiian temple), the largest in Hawaii; the Haleakala National Park at Ohe’o in Kipahulu. Outdoor activities include guided and self-guided tours through Kahanu Garden (affliated with the National Tropical Botanical Garden), Hawaiian cultural tours on horseback (Maui Stables), the Haleakala National Park, Kipahulu Division (trail hiking and camping activities), power gliding services at Hana aiport (Sky View Soaring), self-guided cave tours (Hana Cave Tours), and kayaking at Hana Bay. If you have not been to Hana before, we are a small geographically isolated community on the eastern tip of the Island of Maui. In other words, when you get to Hana, you are as far away from the urban core of the island as you can possibly get before you start heading back to it. Reachable by car via a scenic drive along the Hana Highway, a narrow winding road through forests and along seaside cliffs; if it’s your first time, take the drive slowly, start early and expect to spend at least two hours on the road to Hana. We want you to enjoy the trip, so if you see a car in back of you, pull over at the nearest wide spot on the shoulder and let it pass. By following this procedure, you will not feel pressured to drive faster than you wish and the person in back, who may be a resident traveling the road for work or errands, will be grateful for your consideration. There is another safety factor to consider when driving the road, stay on your side whether or not there is striping in the middle of the road and especially around blind curves. A bank of windows faces the ocean. Bayhouse Hana is a two story structure that is being renovated and upgraded at this time. The ground level Iwa Suite, is now available for renting; the upstairs is used only by family and friends while it is under renovation. A shade cloth screen provides a degree of privacy for the entrance landing. The structure was built as two identical one bedroom apartments in the mid 1970s. It offers a nearly unobstructed view of the entire bay. An addition to the ground level unit in the 1980s serves as the office and maintenance area. Toxic cleaners and insect sprays are not used on the premises at all to preserve the healthful quality of the oceanside air and environment both inside and outside of the unit. Guests are advised to keep food covered when left out for any extended length of time and counters, table tops, stove top and sink area clear of food scraps to prevent the attraction of roaches. Roach traps are provided for placement overnight whenever necessary. The traps are placed in the kitchen between guest occupancies and have been found to be effective in minimizing the occurrence of uninvited guests. As an immediate response tool, a swatter is also provided. We have determined that this method of pest control is much more healthful than the chemical alternative. Hana residents Bill Chang and Anita Bisquera-Chang are the managers of Bayhouse Hana. It is a very restful location. Hard to do anything with such a mesmerizing view to look at all day. Major thankies for the article. Much obliged….